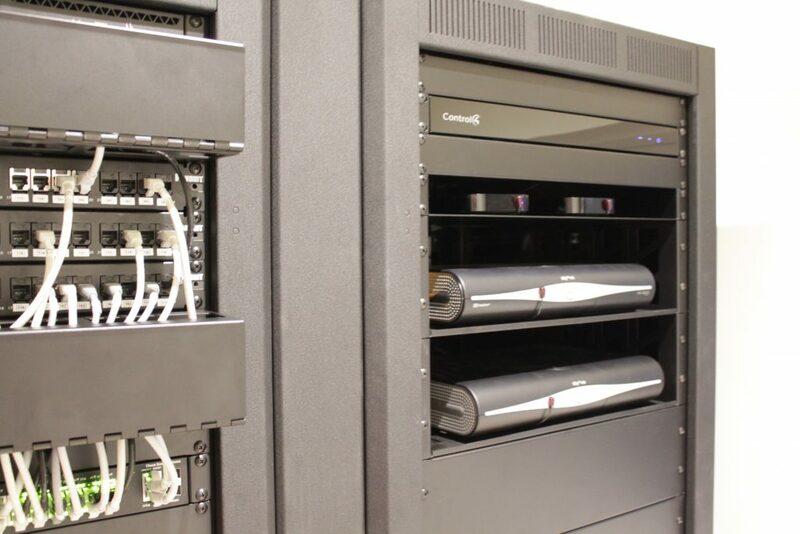 This system uses a Ubiquiti UniFi wireless networking system, with Cisco switches and a Mikrotik router. 6 access points provide full coverage of the house, garages and patios. 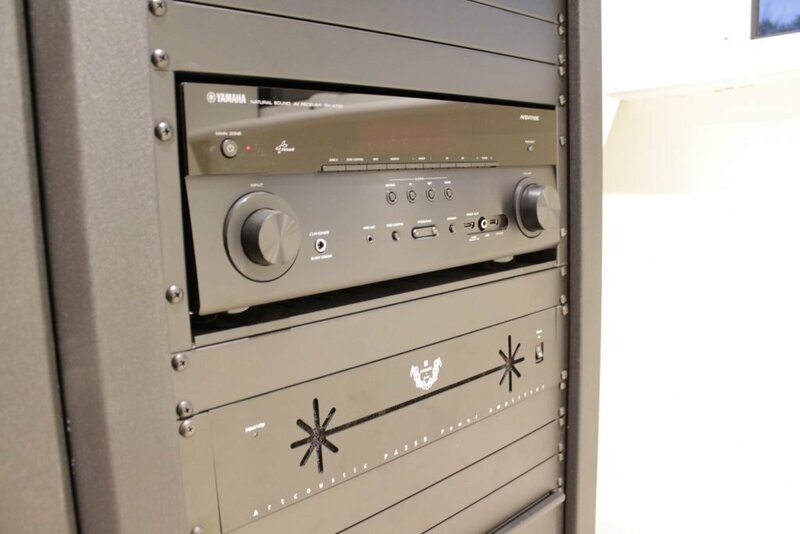 Video distribution is a Wyrestorm 6×6 HDBaseT system, sending 2 Sky+HD receivers, 2 Apple TVs and a remote Blu-ray player to all TVs around the home. 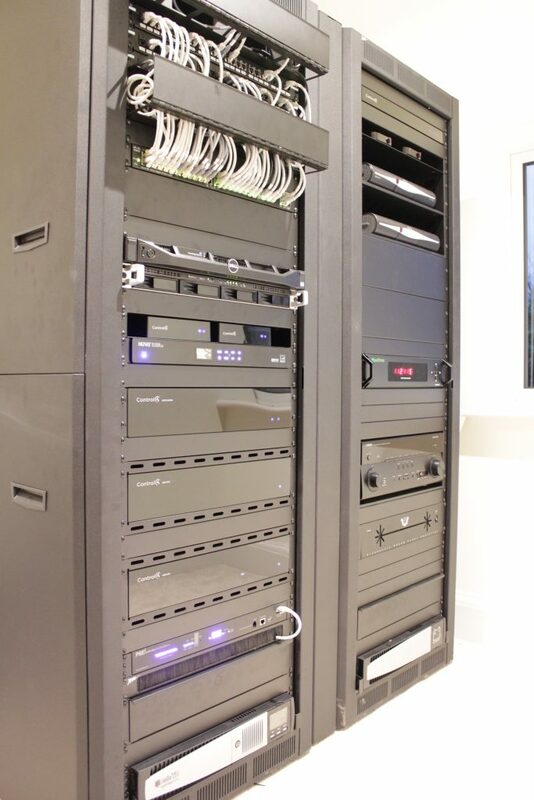 Music is provided by Control4’s native streaming facilities and distributed to 13 zones using their audio matrix switcher and 2 multi-zone amplifiers. 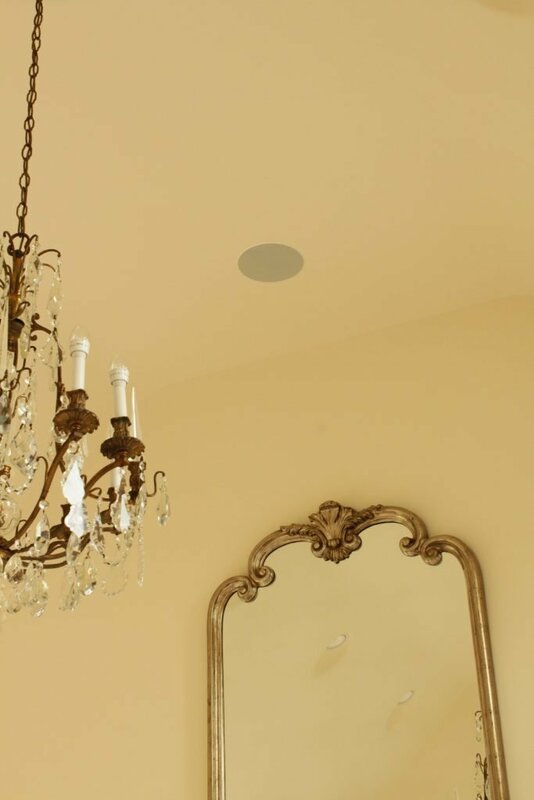 All ceiling speakers are by Sonance. 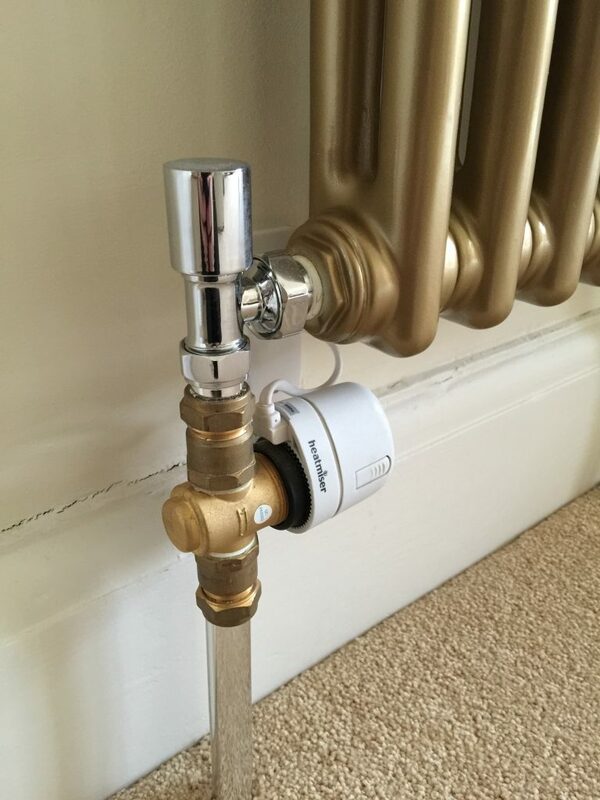 A multi-zone heating control system was designed in collaboration with the heating engineers. This includes individual control of both underfloor and radiator zones, with seperate control of duel-fuel towel rails. 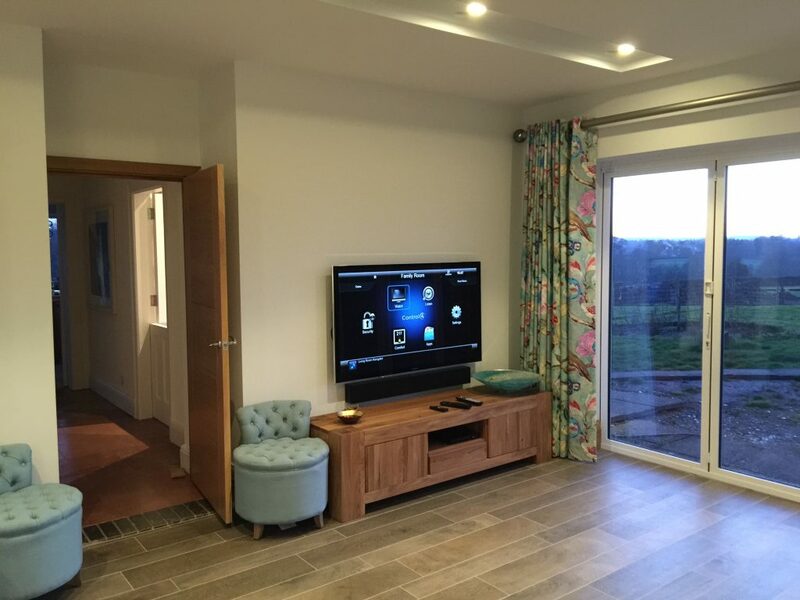 A high-quality AV system was installed to the main family sitting room, including one of the last available Panasonic VT 55″ plasmas, an Artcoustic soundbar and Panel Sub Micro, along with Sonance in-ceiling surround speakers, all driven by a Yamaha Aventage AV receiver. 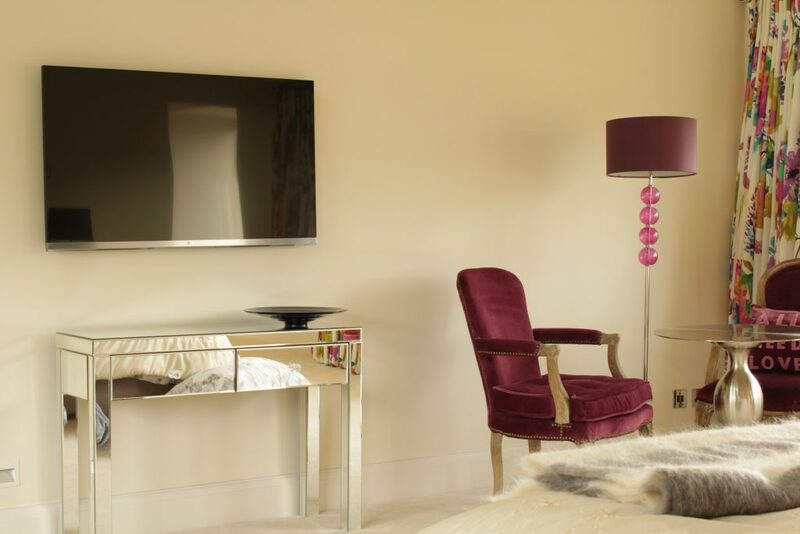 The television is mounted on a Future Automation bracket allowing both easy servicing, and providing the facility for the TV and soundbar to be rotated to face the patio for summer evenings.